Our Monoblock pump products are broadly demanded in the Chemical & Petrochemical industries, Fertilizer industries, Textile industries and Water treatment plants across the world. Our robust quality pumps are made with quality tested basic materials &components to ascertain utmost performance. 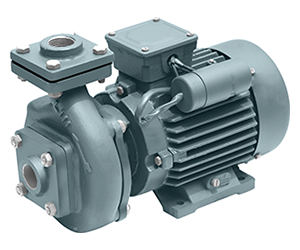 Our pumps are known for high speed operations and ability to withstand the harsh Industrial environment apart from their tremendous performance in a very reliable way. The design of these pumps is made by our experts and these are made employing the state-of-the-art technology in conformity to the industrial norms. These are quality tested thoroughly by our quality controllers and thus offer unflawed performance. Our Light weighted & compact pumps are very lucrative & power-efficient, easy to install, operate as well as maintain. These are absolutely devoid of leaking problems. They cause negligible vibration and operation in a very silent way. We offer our pumps at industry leading rates. We are the leading suppliers of Centrifugal Monoblock Pump in India.